Cognitive Rehabilitation Therapy (CRT) includes treatments that address the cognitive deficits that arise as a result of a brain injury, aging or as a result of some disease process that affects the brain. For individuals with cognitive deficits and their families, problems in “thinking capacity” may be the greatest hurdle when the patient tries to get back to “normal” life. These difficulties involve problems in attention, concentration, memory, social behavior, safety judgment, time management, frustration tolerance, problem solving, planning and carrying out future actions. Due to this, the person’s ability to succeed at work, school, or home is at stake. Without any treatment, the long-term effects of cognitive decline can be devastating. Cognitive rehabilitation therapy is an umbrella term used to refer to treatments that address the cognitive problems that can come up after a brain injury or disease. Because of the wide range of symptoms and severity of cognitive decline in individuals with brain injury, CRT does not mean a single treatment modality. CRT is the process of relearning cognitive skills that have been lost or altered as a result of damage post a brain injury or disease, most commonly following traumatic brain injury or stroke. If it is increasingly difficult to make a patient relearn a skill, then new ones have to be taught to enable the person to make up for his/her lost cognitive functions. The process of CRT comprises making the person understand about cognitive weaknesses and strengths. The objective here to give awareness about the problem. 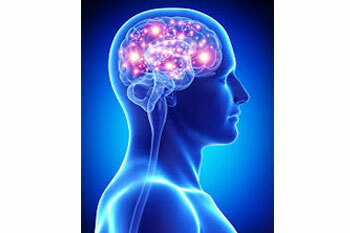 Cognitive rehabilitation therapy aims at fostering function and independence in patients with cognitive impairment. It should be noted that CRT is completely different from cognitive behavioral therapy (CBT), a treatment discipline for emotional and psychiatric problems. In cognitive behavioral therapy, restorative treatment takes the centre-stage and the goal of CRT is to enhance the overall cognitive system. In CRT, solution to specific problem is also taught like memory notebooks or learning self-cuing strategies. The level of therapy given to patients is different from case to case. It depends on the level of alertness, orientation to surroundings and memory of recent events. With a moderate to severe cognitive decline, individuals may receive therapy during the inpatient rehabilitation period itself. During discharge the treatment team may make recommendations regarding the type of follow-up cognitive therapy a patient needs post discharge. For example, if a person is suffering from moderate degree of cognitive impairment, s/he may benefit from a comprehensive outpatient CRT course that includes face-to-face treatment as well as group therapy for social/behavioral goals. The course may include functional activities such as planning outings into the community or how to make a reentry into work or school. These programs cover a gamut of cognitive issues and staff from multiple treatment disciplines may be required to run the program smoothly. What one can expect in CRT? You will be requested to participate in an evaluation process which will help your CRT specialist to get a clear idea as to your unique needs and concerns. You will participate in various assessment methods that include questionnaires, testing, interview and observation to gain an in-depth understanding of your abilities and limitations in managing your day-to-day activities and responsibilities. Post analysis your CRT specialist will interpret your evaluation outcome and compile them into an exhaustive report outlining your strengths and difficulties. A treatment plan is then made to guide you through all of the activities that are selected to help you ameliorate your level of cognitive decline or compensate for your difficulties. How does cognitive rehabilitation therapy help with life skills? The principal motive of CRT is to boost functional competence in real-world situations by retraining and adopting new compensatory strategies or equip the patient to use new cognitive tools. This helps the patients to make most of their abilities they possess and increase self-confidence. Training, adaptive equipments and the information that the patient received during the rehabilitation period speeds up this process.